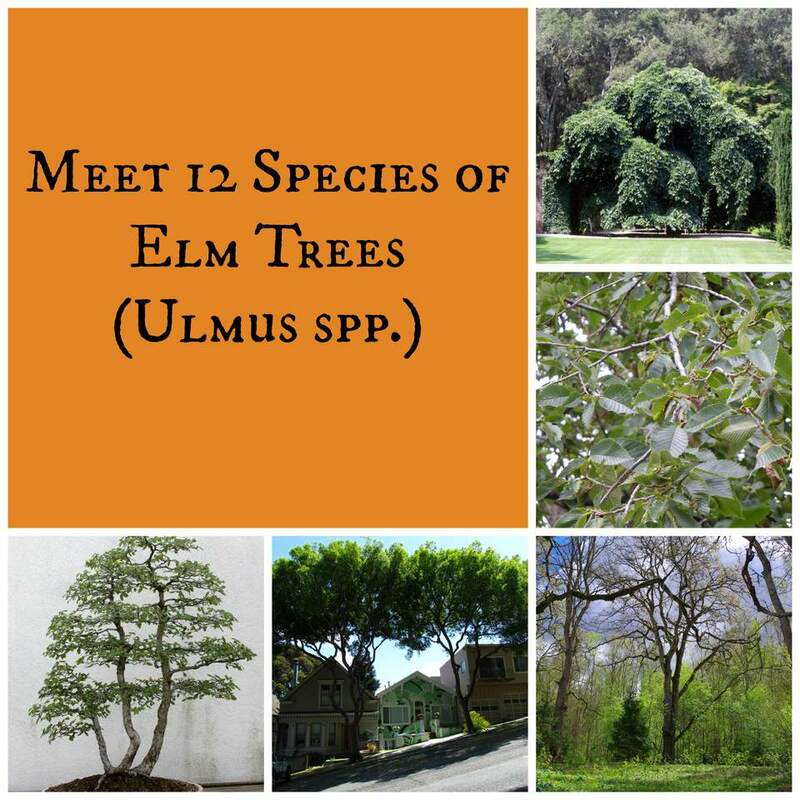 Elm trees are found in the Ulmus genus in the Ulmaceae family. Other genera in this family include Zelkova, Ampelocera, and Planera. The leaves on elm trees alternate on the branch and are usually doubly serrated. Most feature perfect flowers that develop into samaras. Unlike the familiar helicopter samaras produced by maple trees, those of elm trees are circular. They are very prolific in their fruiting and can often be invasive if the growing conditions are right. Elmwood tends not to rot if placed in water, even if for long periods of time, so it has been used to make ships and piers throughout history. It has also been carved out to create water pipes at times. In many areas, elm trees have fallen out of favor due to the advent of Dutch elm disease. In the United States, too many people planted just the American elm ( Ulmus americana) instead of planting a variety of elm species. Like the Irish potato famine of the 19th century, the lack of diversity proved fatal, and many American elm trees have died over the years. 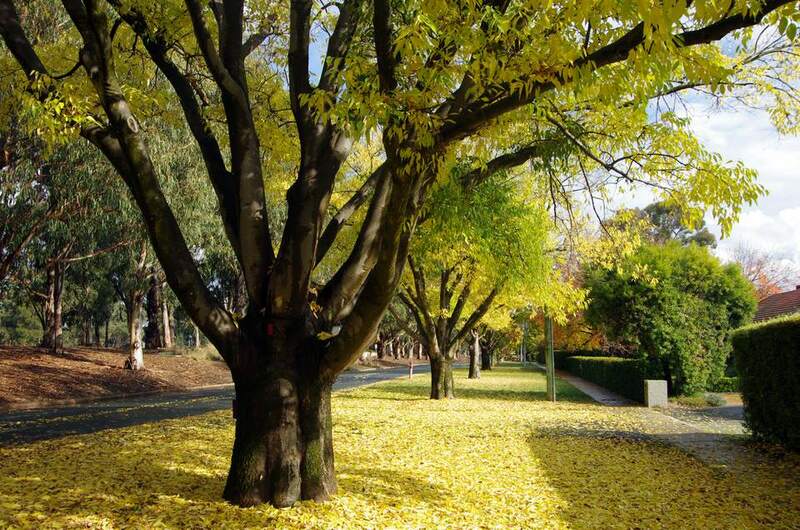 This fungal disease causes the tree to wilt and die. It is brought on by either Ophiostoma ulmi or Ophiostoma novo-ulmi and is spread by two bark beetles, which are the native elm bark beetle (Hylurgopinus rufipes) and the European elm bark beetle (Scolytus multistriatus). A popular alternative is Japanese zelkova. This elm cousin may also catch this disease, but it is usually free from this problem. North American elms may also be plagued by a disease called elm yellows or elm phloem necrosis. Several types of leafhoppers bring phytoplasmas to the elm tree. It gets into the phloem and destroys it, shutting down the transport of food and water and eventually leading to the tree's death. You can plant a species that are from Asia or Europe to avoid (or at least lessen) this problem. The American elm has made a comeback over the years as horticulturists worked on developing varieties that could better withstand Dutch elm disease than the species. It is the state tree of Massachusetts and North Dakota. The Camperdown elm is a weeping variety of the Wych elm. It requires propagation by grafting. The trailing branches can create a lovely hidden room. The cedar elm can be grown in urban areas as it can persist in conditions like pollution, and poor soil. As the Native Plant Society of Texas mentions, the name cedar elm is a little confusing. It is not like any of the cedars (Cedrus spp.). Instead, it is used because you often find these near junipers (Juniperus spp. ), which sometimes share the common name of cedar. The cherry-bark elm can live for hundreds of years. The trunk features many lenticels. This is a good tree if you are worried about Dutch elm disease since it has proven to be less susceptible. The Chinese elm can be used as a substitute for the American elm by those in the United States in the quest to overcome Dutch elm disease. It shares the same vase shape and features flaking bark that comes in brown, gray, green and orange. Since the Chinese elm can grow if pruned back heavily, it is a common choice for bonsai. American and European experiments have been conducted with the David Elm, an Asian elm. It does escape the wrath of Dutch elm disease a lot of the time but has trouble growing in areas outside of its native range. Other common names: A variety (Ulmus davidiana var. japonica) of the David Elm is known as the Japanese elm or Wilson's elm. The English elm can be used to support lianas. This species reproduces through suckers instead of seeds and used to be found all over the country in England before the advent of Dutch elm disease. Height: As one of the largest elm species, the English elm can be over 130' tall. The European white elm is, unfortunately, susceptible to Dutch Elm disease. If you have an area that tends to be moist, this species could work well as it tends to withstand bouts of wetness and even flooding. Height: This species may be over 100' tall. It's very tenacious and can grow almost anywhere. However, don't automatically rule this out for your yard. The fact that this tree is persistent means that it will grow in places that a lot of other trees and shrubs can't handle. USDA Zones: 3-9. May be able to live in some Zone 2 areas. Slippery elm can be used to treat sore throats, inflammatory bowel diseases, and heartburn according to Cathy Wong, our Alternative Medicine expert. The species name rubra gives you the hint that some part of this tree is red. In the case of the slippery elm, it is the wood. The name "slippery elm" comes from the mucilage found in the inner bark. Latin name: Ulmus rubra. Sometimes it will be listed as Ulmus fulva. Note: The preceding section is for educational purposes only and is not meant to be medical advice. Check with your preferred health professional before taking slippery elm for medicinal reasons. What Are the Different Types of Walnut Trees?